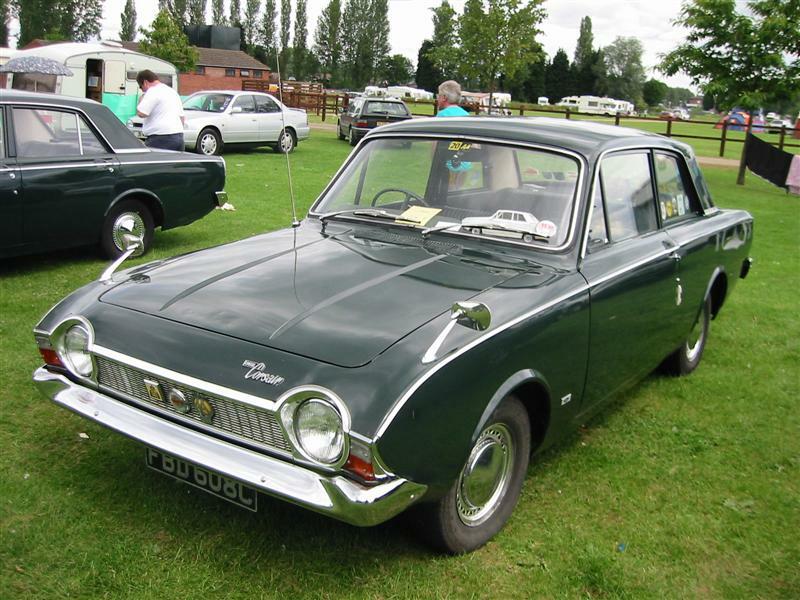 Below are some pictures of Corsairs taken at various classic car gatherings. All models and almost all paint colours are represented. This early two door in Monaco Red is quite rare. It has the front split bench seat option. 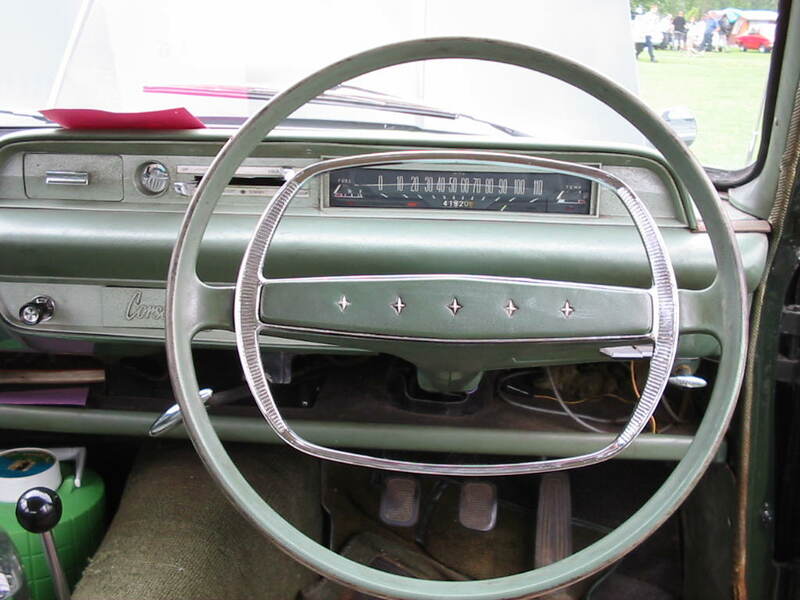 Most two doors were ordered with bucket seats. Lovely Ermine White GT. Notice the additional trim along the bottom crease in the bodywork. ..And from the rear. The lower trim and GT bagdes are clearly visible in this shot. 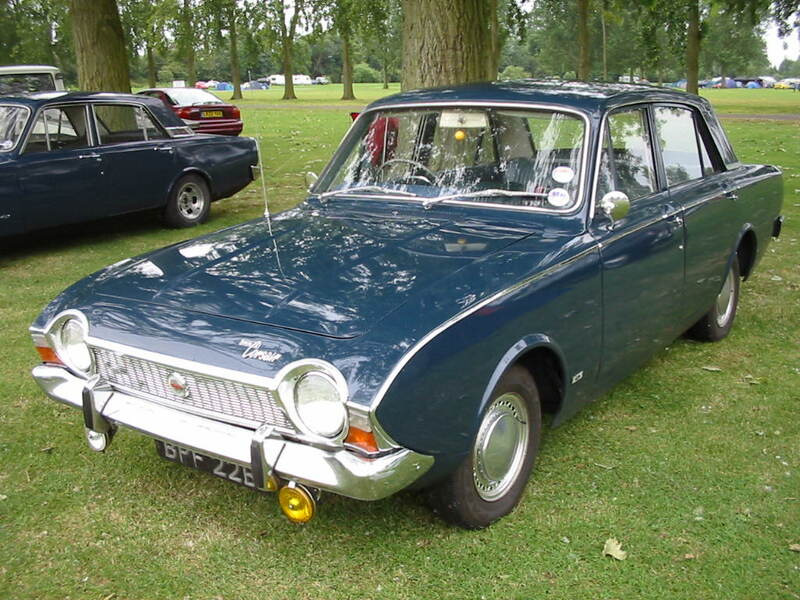 Beautiful four door example in Ambassador Blue with Platinum Grey roof. This shot clearly shows the colour divide. 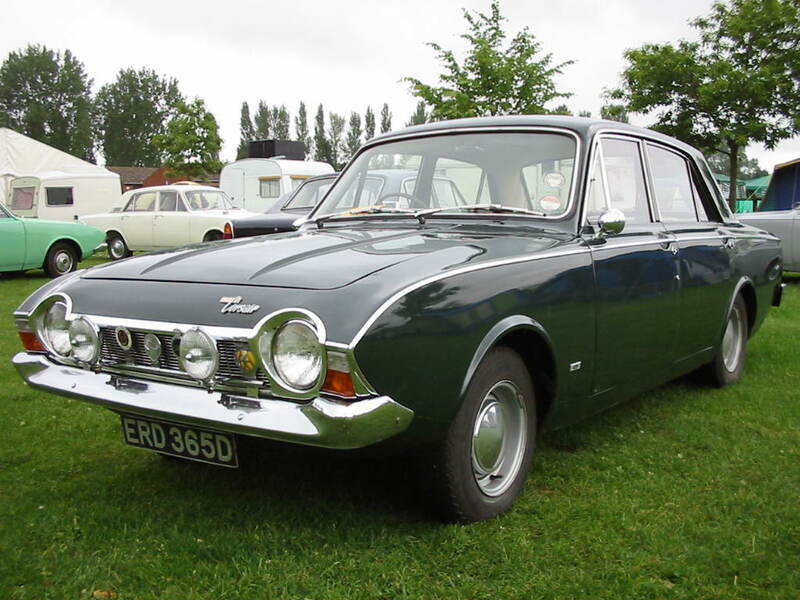 The duo tone contrast was much more prominent on the Corsair than on the Cortina due to the greater width of the rear pillar. 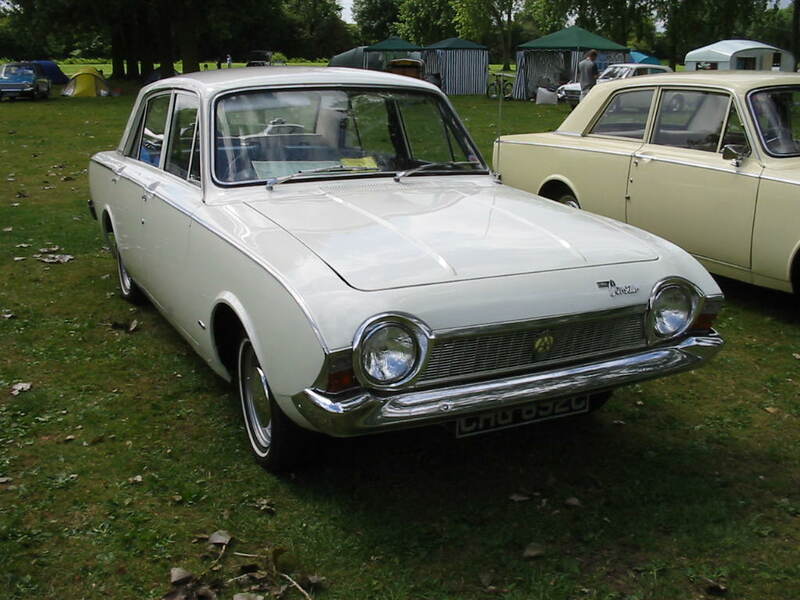 Rare standard four door model. This one is in Platinum Grey with column change and bench seat, the only option available on this base model. Very early two door deluxe in Imperial Maroon. This one was built in early 1964. 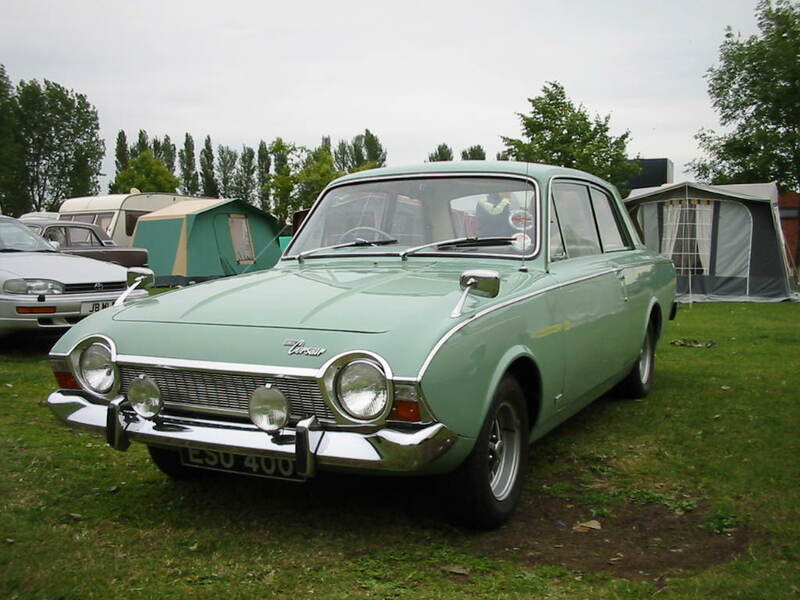 An early two door deluxe in Spruce Green. Two door deluxe in Alcuda Blue Metallic. 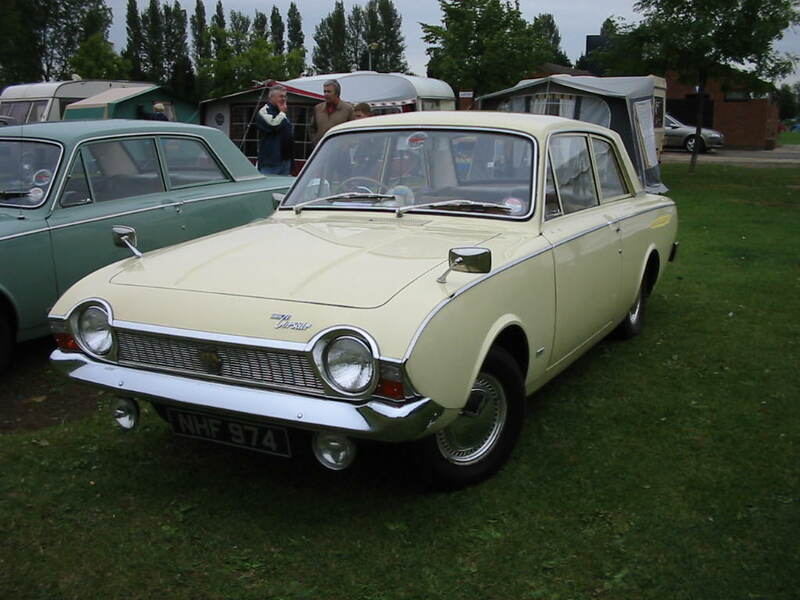 This colour was only available on later 1965 models. 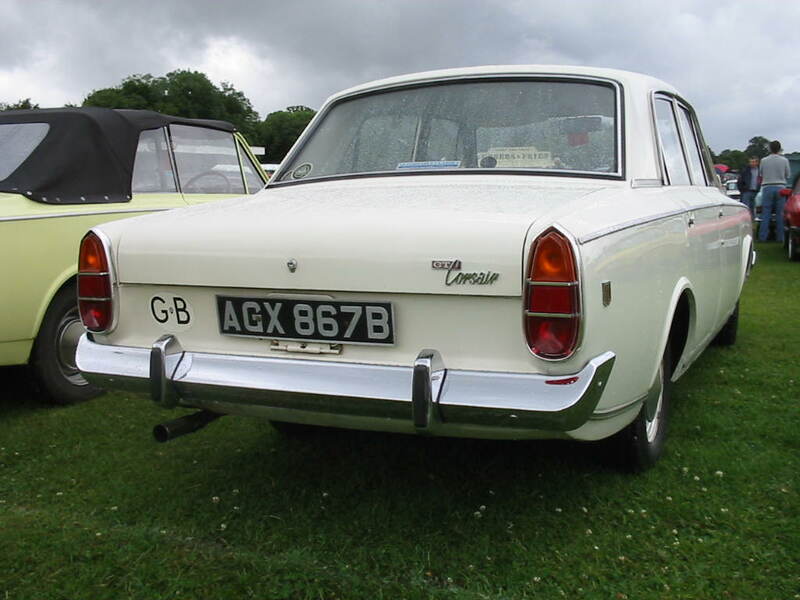 The vinyl roof is not original and has been added much later. 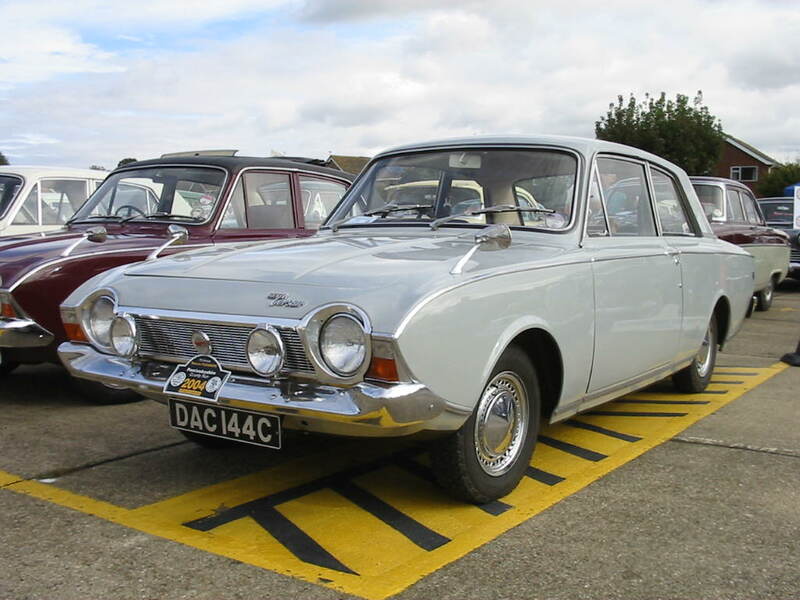 Another early pre facelift two door deluxe. This example is in the rarer Tuscan Yellow. Post facelift two door deluxe. This time in Goodwood Green. 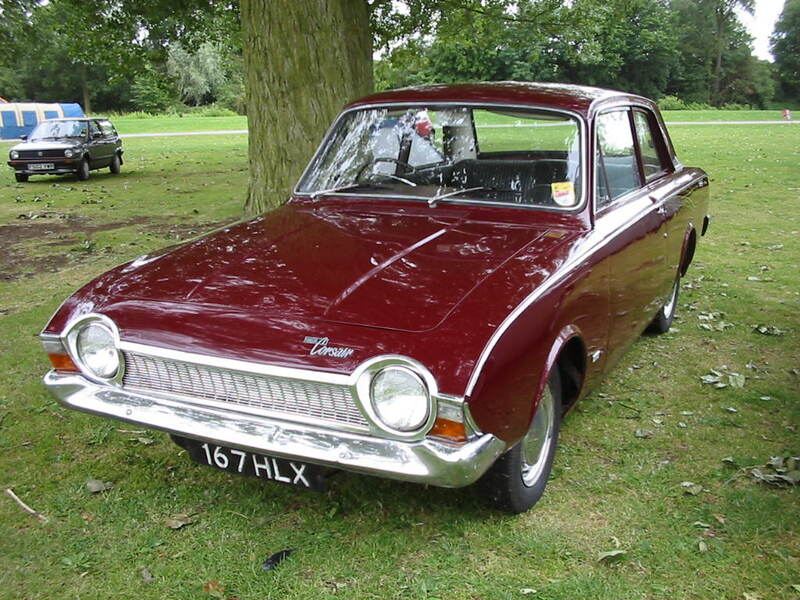 Wing mirrors were an extra. 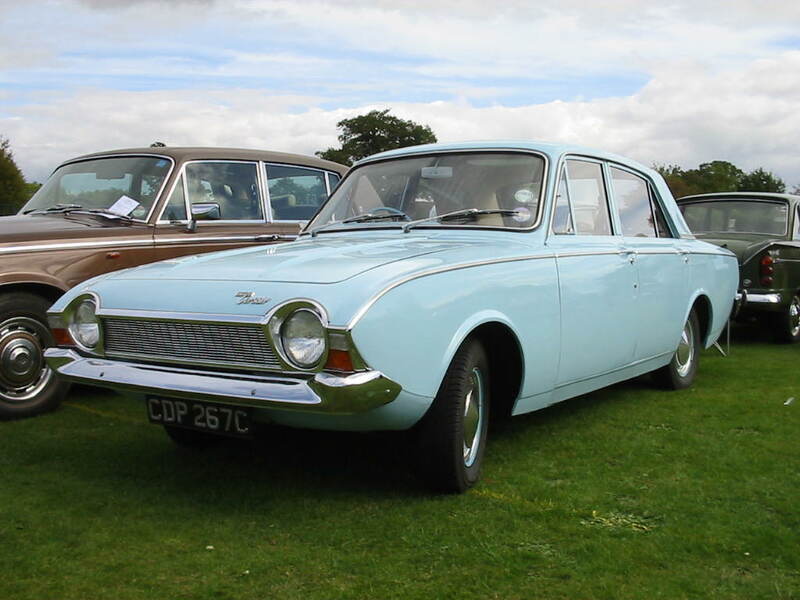 Excellent example of a four door deluxe in Aqua Blue. This is another post facelift model with floor change option. 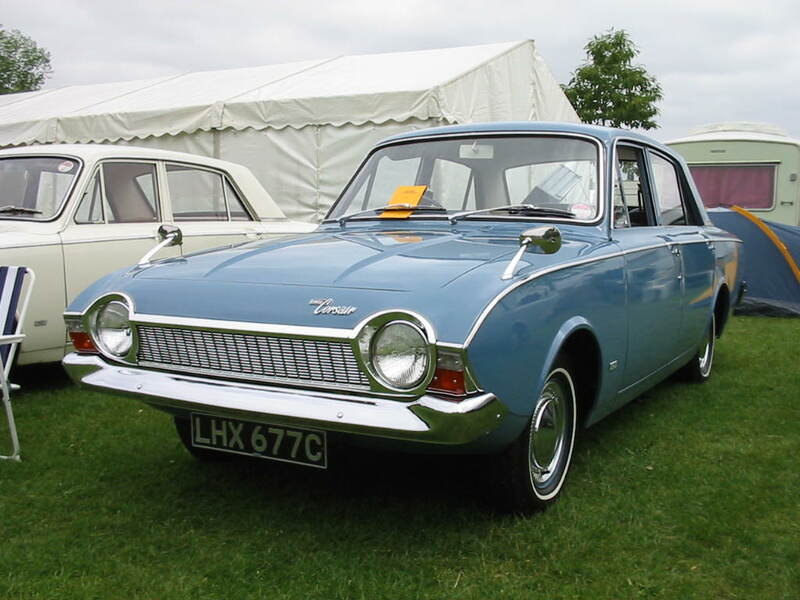 A pre facelift four door deluxe, this time in Ambassador Blue and with floor change option. 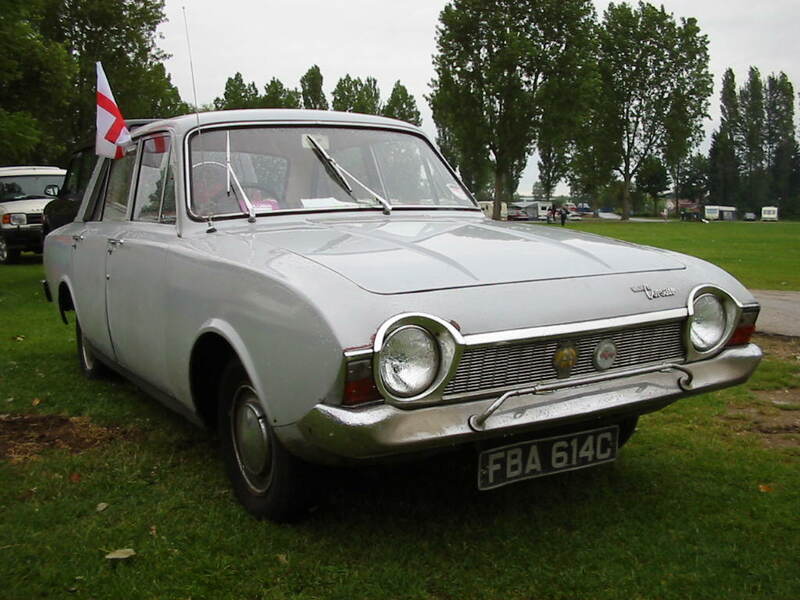 Stunning example of a four door deluxe in Ermine White. This one has column change with bench seat. This is also a post facelift model. Fine example of a four door deluxe in Platinum Grey. 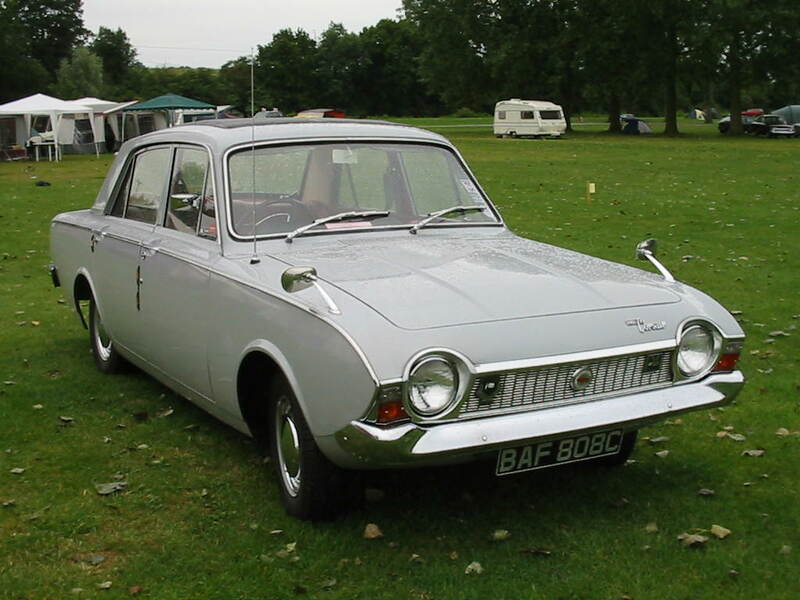 This is a post facelift model with a Cornish registration. 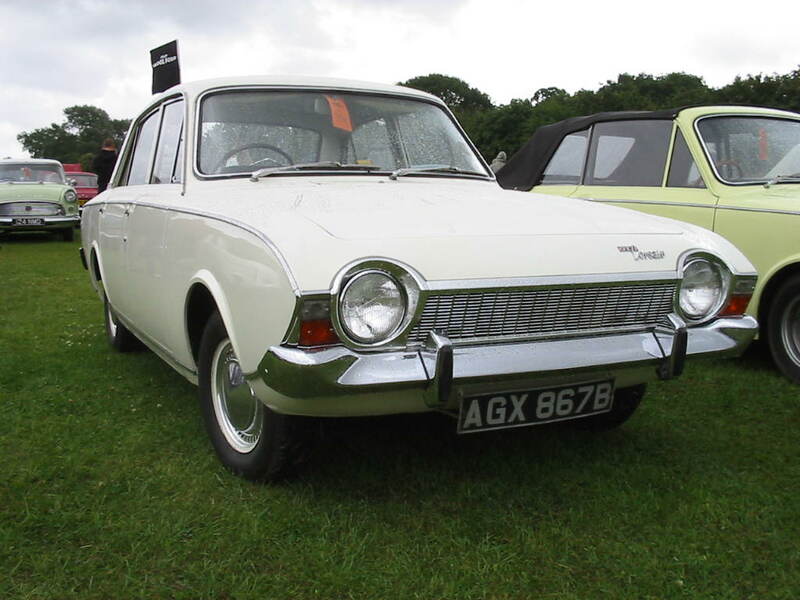 Early four door automatic in original condition. This example is in Ermine White. The overriders were an extra. Another post facelift four door deluxe, this time in Glacier Blue. This one has the floor change option. 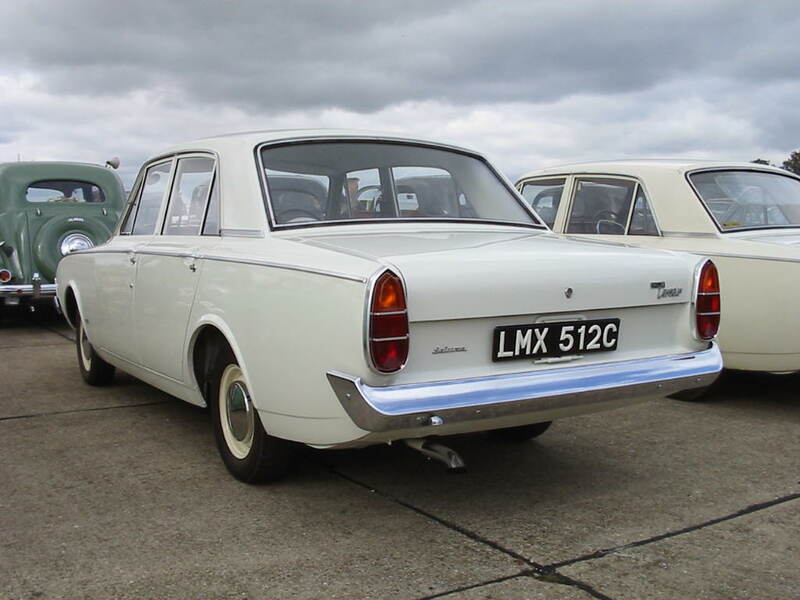 Later four door saloon in Ermine White. This one has the column change with bench seat. Two door GT model, post facelift, in Platinum Grey. 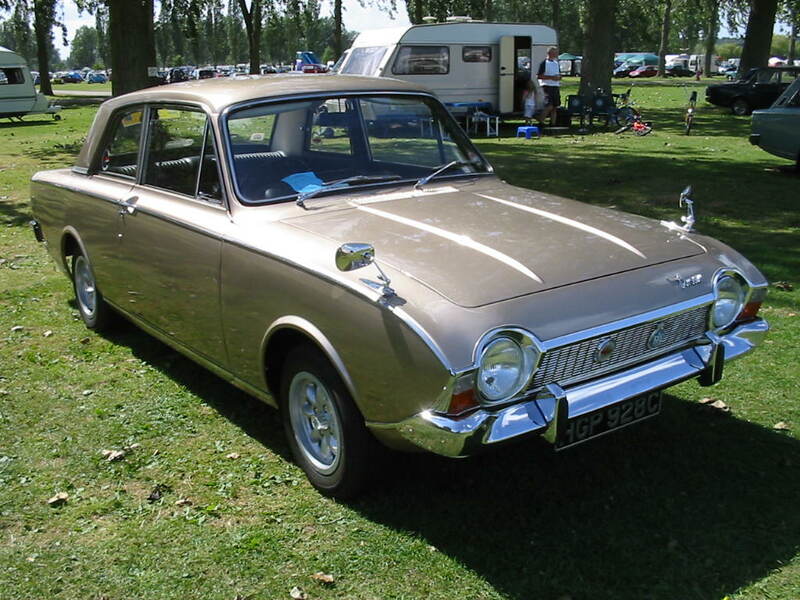 Two door GT in Malibu Gold Metallic, a colour available later in 1965. Four door GT in Alpina Green. This is a late model on a 1966 D plate. 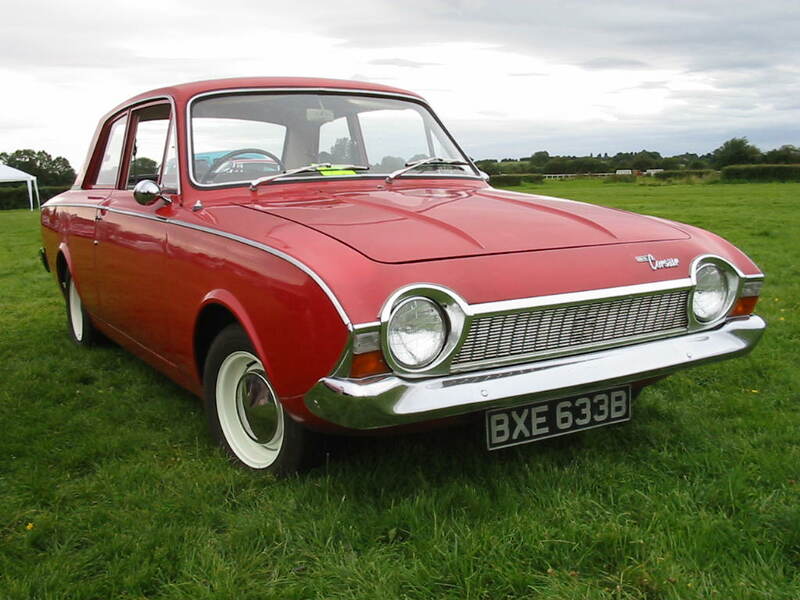 Fog lamps are extras. 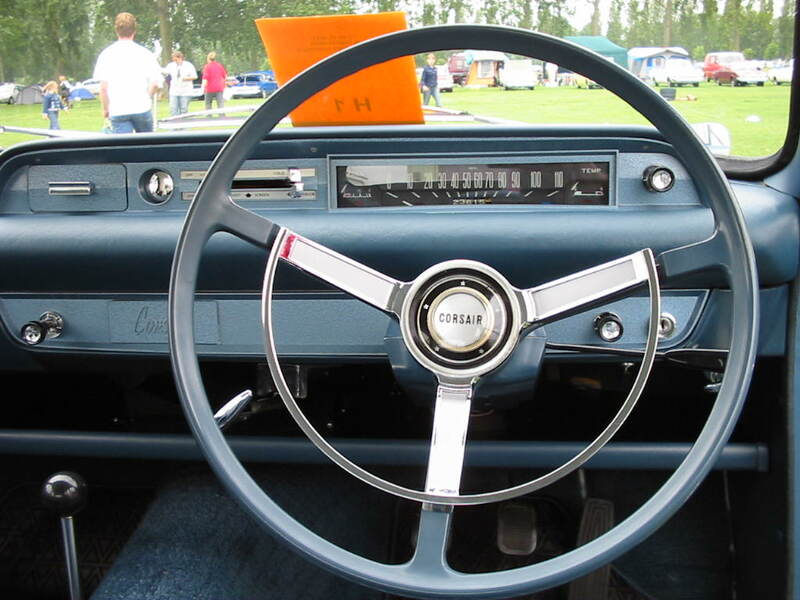 Note that the lower body trim is missing on this example. 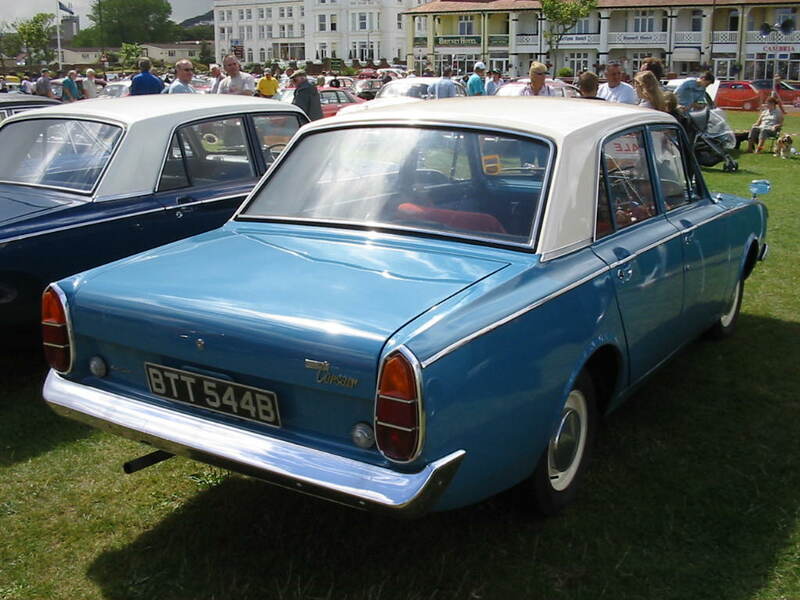 Example of a four door deluxe with the optional two tone coulour scheme. This one is in Aqua Blue with Ermine White Roof. Example of the original facia layout. 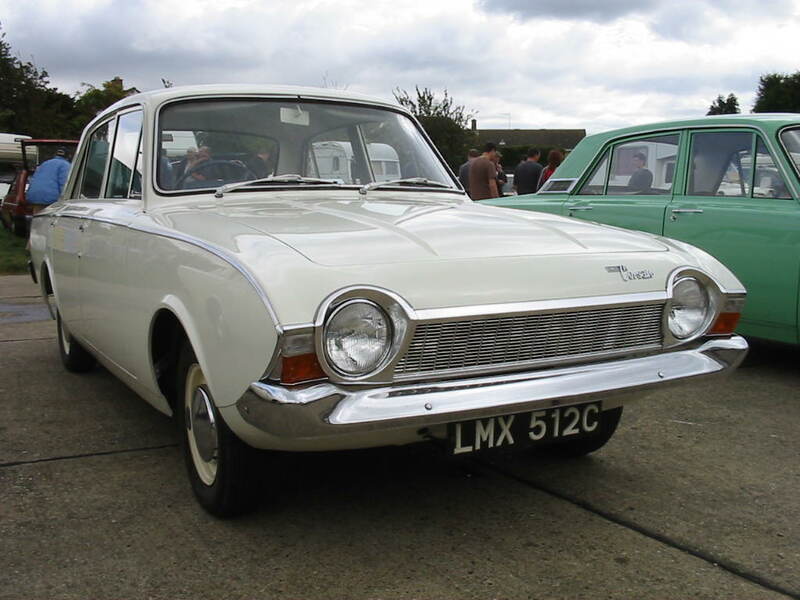 Example of the facelifted facia for the 1965 model year.